These days, if you ask the average consumer what their biggest issue is with online purchasing, chances are they’re going to say shipping costs. That’s why so many companies are moving to offering free shipping on orders over a certain amount, or on any order at all. Consumers have been trained to look for it, and to expect to receive free shipping on the orders they place. The desire for free shipping is so ingrained that most consumers don’t even think about what costs they might be paying in place of the “free” shipping they’re receiving. 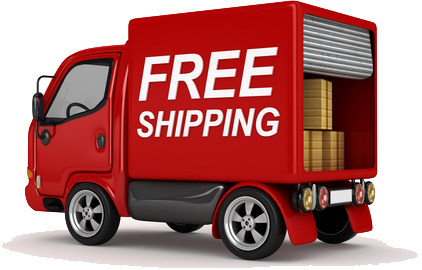 At EnMart, we get asked about free shipping frequently, but offer it very rarely, generally only through our e-mail specials and then only a few times a year. Instead we focus on keeping our prices low and giving our customers shipping options and the lowest rates we can offer. To us, this is a more transparent way to do business but, to some potential customers, who are focused on the word “free” any shipping cost at all is to high. While we realize we can’t change everyone’s mind when it comes to this subject, we wanted to explain why we think as we do about free shipping and why we don’t, as a general rule, offer it. First, let’s talk about what “free” shipping really is. I like this definition of free shipping from an article about the psychology behind this marketing tool. Basically, free shipping is defined as “a marketing technique that removes the stated cost of shipping charges for qualified purchases”. Notice, it doesn’t say eliminates the charges, it simply says removes the stated cost, which means that you see a zero in the shipping line on your invoice. That cost hasn’t disappeared, however, it’s just not visible to you. Someone still has to pay that cost. One way to pay that cost, a way that primarily works for massively large companies like Amazon, is economies of scale. What this means is that the retailer ships so many packages, and can subsequently negotiate extremely low rates with shipping companies, and so their burden of shipping cost is less when spread over the amount of business the company does. Even in the case of the biggest companies, this is a strategy that doesn’t always pay off. Amazon only recovers about 55% of their shipping costs, and they can only shoulder that kind of burden because of their size and the offshoot programs they’ve created to generate additional revenue. Company A and Company B both sell a blue widget. It costs $3 to ship. Company A sells the widget for $4.00 and $3.00 shipping. Company B sells the widget for $7.00. The cost is the same – the only difference is that if you buy from Company B, in the column next to shipping you’ll see this: $0. We understand that seeing $0 in the shipping column on your invoice may make you feel like you’re saving dollars, but that isn’t always the case. The reality is that free shipping is never free, someone has to pay the cost, either you as the consumer, or the company that’s selling you the product, and if it’s the company that’s selling the product, they’re going to have to recoup that cost in some way. Always make sure you compare costs and spend the time to ensure that your “free” shipping is really free, and the best value available. It may cost you a bit of time on the front end, but you’ll be sure you’re getting the best deal available, whether you pay shipping costs or not.